The Introductory Course for 2019 will consist of four 2-day modules over four months, January to April. The course will comprise experiential personal work in a safe group setting, and some basic theoretical explanation and discussion. It is open to anyone interested in the topic of trauma and in exploring their own personal issues. Maria Green and Limor Regev-Peretz. Identity-oriented Psychotrauma Therapy (IoPT) is founded on the theories and practice developed by Professor Franz Ruppert of Munich University over the past 27 years. 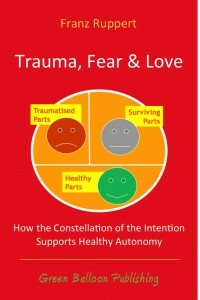 The IoPT theory is based on a specific understanding of trauma and the psychological splitting as the means of surviving traumatic experiences. This particularly applies to the very early stages of life and the challenge to the child of surviving within the particular context in which he or she is conceived, gestated and born. This course is an 'entry-level' course, which will be a pre-requisite for the year long Education Course led by Vivian Broughton. Up to 31st December 2018 50% refund is possible. After that there will be no refunds. If the course has to be cancelled you will receive a full refund. For registration click here or for more information contact Limor or Maria. 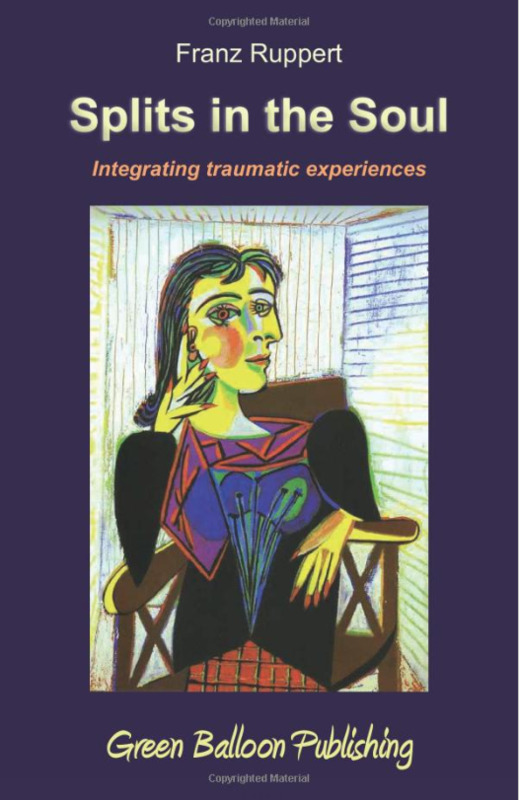 "My Body, My Trauma, My I"
Franz Ruppert's latest book: a collection of essays by IoPT practitioners, exploring the link between 'illness' and early trauma. our pre-natal experiences shape our psyche. The UK Advanced training in Identity-oriented Psychotrauma Therapy and the Intention Method runs annually from January to December in London. It is led by Vivian Broughton. The Introductory Course, consisting of four 2-day modules and is led by Maria Green (Jan-April) and Lucy Jameson (dates to follow). More information can be found on the training website. For a list of experienced practitioners currently offering workshops and one-to-one sessions in the UK, please click here. 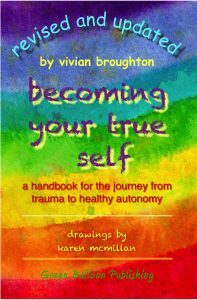 Vivian Broughton has been a psychotherapist in private practice since 1989. She met Professor Franz Ruppert in 2004 and has been collaborating with him ever since. From 2010 Vivian's work developed along the model of Trauma that Franz Ruppert proposes. Vivian established an International Trauma Training in 2012, originally in Denmark until 2015 when this Identity-oriented Psychotrauma Therapy Training moved to London. 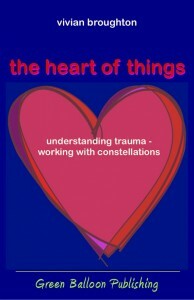 Her latest books are The Heart of Things: Understanding Trauma – Working with Constellations and Becoming Your True Self: A handbook for the journey from trauma to healthy autonomy, which has also been published in Dutch and German, and is soon to be published in Swedish. 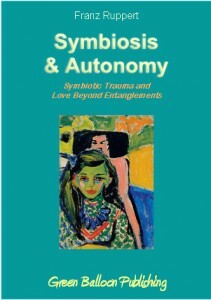 In addition Vivian posts regular blog pieces on a variety of topics connected with her work and Ruppert's Identity-oriented Psychotrauma Therapy on her website. 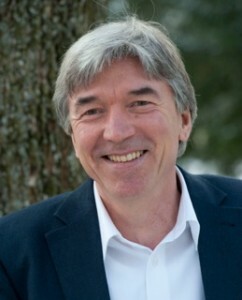 Prof. Dr. Franz Ruppert is Professor of Psychology at the University of Applied Science in Munich, Germany. He gained his PhD in Work and Organisational Psychology at the Technical University of Munich in 1985. Since 1995 he has specialised in psycho-therapeutic work, with a particular focus on the aetiology of severe mental disorders. 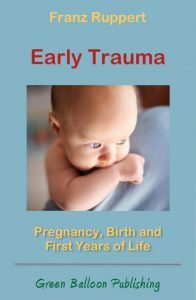 This led him to an in-depth study of attachment processes and trauma and the resulting impact of early traumatisation on the infant. Ruppert teaches in Germany and many other countries, furthering his insights into the deeper trans-generational effects of trauma in different cultures, and researching the methodology of Identity Therapy as a means of better understanding the effects and healing of trauma.